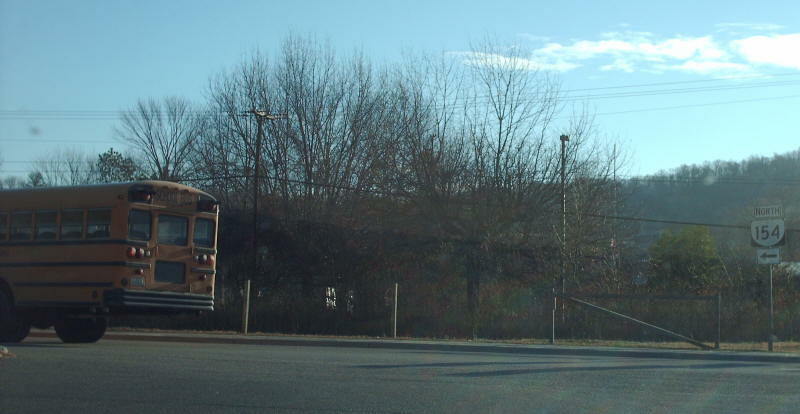 VA 154 is a short route through the western part of Covington. 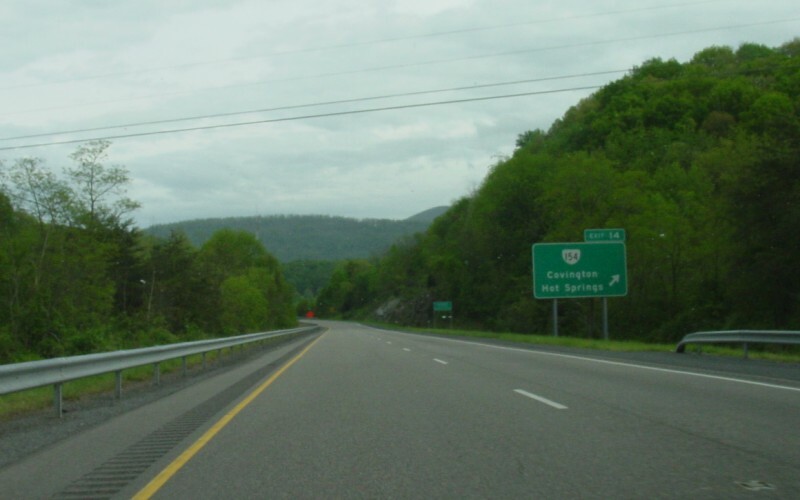 This is exit signage for the southern end as viewed from eastbound I-64. Photo by Adam Froehlig, taken May 6, 2003. The view from westbound I-64. Photo by Mapmikey, taken January 26, 2007. The view from the westbound I-64 ramp to VA 154 into the glare. Photo by Mapmikey, taken January 26, 2007. Heading up VA 154 away from I-64. VA 154 is not posted anywhere other than at the interchange. Photo by Mapmikey, taken January 26, 2007. From where most people believe VA 154 northbound runs into US 220. Photo by Mapmikey, taken May 27, 2006. Heading down presumed VA 154. Photo by Mapmikey, taken May 27, 2006. From US 220 southbound. VA 154 is not posted on this end anywhere which is why people think it ends here. Photo by Mapmikey, taken May 27, 2006. From US 220 southbound at Hickory St., which is south of the intersection shown above. By the definition of VA 154 in VDOT VA 154 starts to the right on Hickory St. Photo by Mapmikey, taken January 11, 2010. 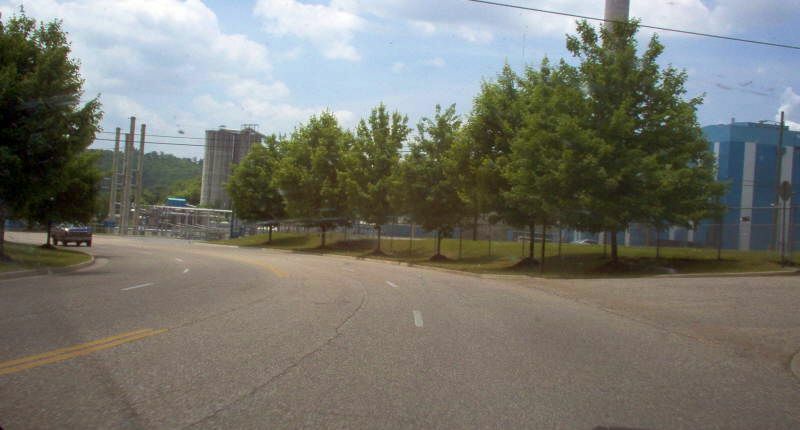 Looking east on Hickory St from Riverside. US 220 is at the stop sign. Photo by Mapmikey, taken January 11, 2010. 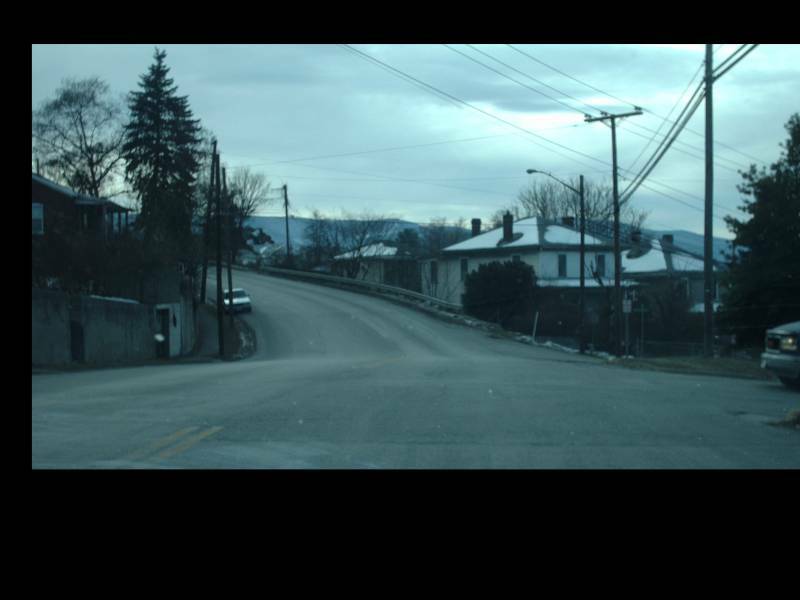 Looking west on Hickory St. VA 154 then turns left onto Riverside ahead. 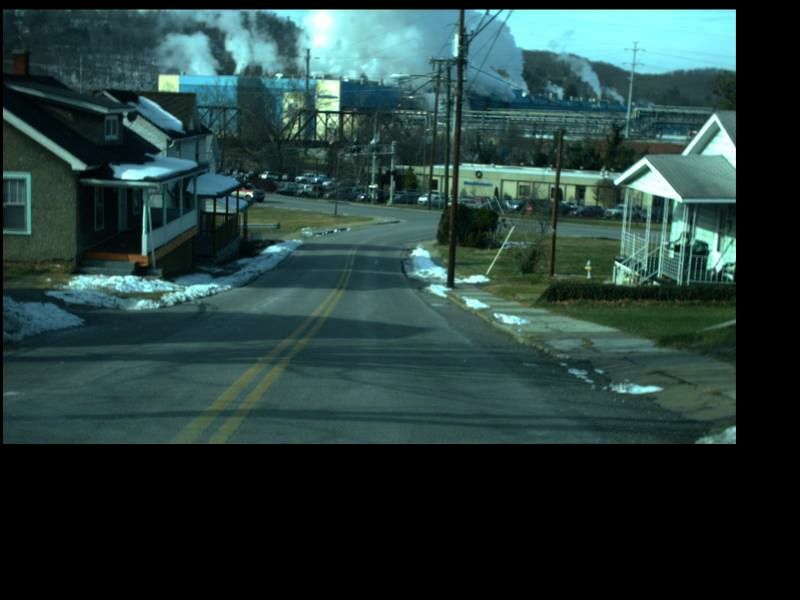 The Westvaco Plant is in the distance. Photo by Mapmikey, taken January 11, 2010.